Payday and Battlefield developer David Goldfarb is contributing new content for the title. 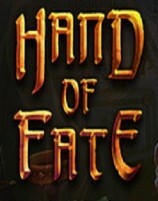 Hand of Fate is a balance of luck and skill, but eventually, everyone dies in the dungeon. Hand of Fate, a Kickstarted roguelike card game from developer Defiant Development, is coming to PlayStation 4 and Vita.